In amongst the drama of choosing a wedding dress, it often happens that there is not enough time or not enough money left in the budget for the groom to have a similar experience with selecting or designing his suit. However, we at Zankyou think that this needs to change – though it is imperative that every bride feels totally gorgeous on her wedding day, it’s time we showed our grooms the same love and attention! 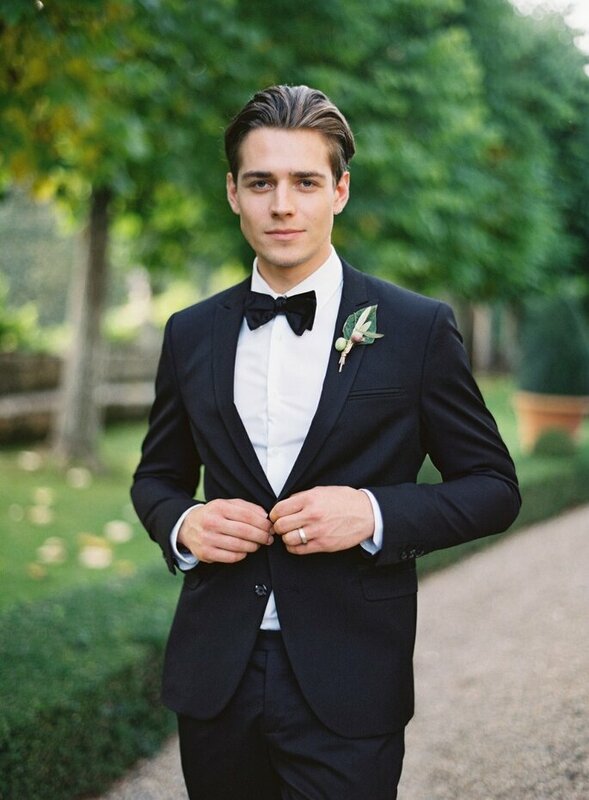 Instead of having to rent a suit – which could be ill-fitting, the wrong colour, or just not exactly what you wanted – we say all grooms should have their bridal outfit tailored to them and their personality. 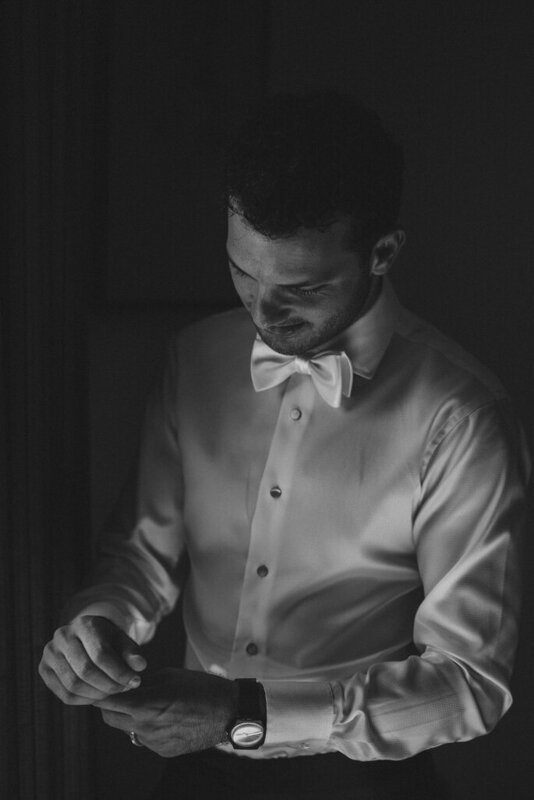 Read on to find out our 5 top tips on how to ensure you’re looking sharp on your wedding day! Regular – this is the fit that most men will go for, as it is close enough to being tailored without requiring further purchases. This is a classic style which allows a little extra room for movement and comfort – so you can bust some moves at your reception without having to worry about busting out of your blazer! Slim – for grooms on the leaner side, a slim-fit suit would be the ideal option. Men with an 8″ drop often choose this style of suit. Tailored – by far the best choice (but one that will set you further back in terms of money than any others), tailored suits involve the careful measurement of chest, inseam and sleeves, from which a suit is cut and created specifically. One of the ways that brides choose their wedding dresses is to consult with what styles, cuts and colours are trending at the moment – and it works the same way with grooms. 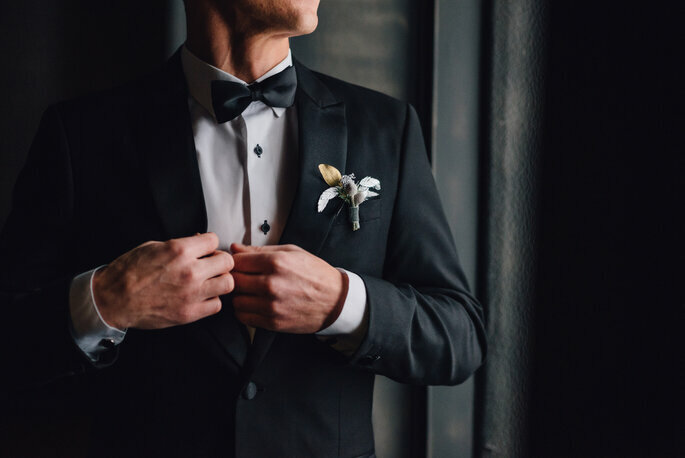 The popularity of certain types of suits changes with every season, and you want to make sure that what you’re wearing on your big day is not only a good fit, but not completely outdated or old-fashioned. You can use Zankyou’s groom portal to find out more about what’s hot at the moment, and the expected trends for next season. Looking at the major designers and what they have trending for this season is also helpful if you’re not sure what kind of suit you want. Beyond there being different types of blazers, shirts and trousers, there are additional features to consider: do you want notch or peak lapels? Single or double-breasted? A stand or roll collar? Check what is trending, and you’ll find inspiration and examples to help guide your process of selection (here’s a hint: waistcoats are back in for 2019, and burgundy suits look set to storm the wedding world…). The most common fabrics for wedding suits are normally wool, and then for some more daring grooms, linen in the Summer months. Both are lightweight and breathable, and the former can also be adapted to every occasion, from informal ceremonies to nigh-on regal affairs. However, whilst there is a huge amount of colours and styles of suit available in wool and linen, it might be fun to use this opportunity to experiment with some bolder fabrics. One of the options available is tweed, which, when done right, can be crafted into a very sophisticated suit – so long as it is tailored. Additionally, thanks to the legendary director Wes Anderson, corduroy suits are making a very timely comeback, and could be the ideal fabric for your vintage or bohemian style wedding. That being said, if you’re going for sharp and modern, cashmere is always ideal (and a favourite of Italian designers!). It is very important to feel comfortable in your suit on your wedding day – you’ll be in it for most of the day, including during the eating and dancing stages. However, there are also protocols that you should adhere to when choosing your outfit, which may mean having to have your neck constricted by a Windsor-knotted tie for a few hours or so. It is easy to tell when a suit hasn’t been fitted properly, and it’s not a good look either – you might feel tempted to ask your tailor to leave a few extra inches for maneuverability, but it will be very obvious in your photos (and the same goes for buying off the rack). Having a regular or slim-fit suit will mean that your shirt and blazer may be a little tighter to your chest than your day-to-day office wear, but it’s definitely worth it! Plus, what woman doesn’t love a man in a well-made 3 piece suit! Okay, so your options aren’t as varied as the bride, and we would not recommend that you start looking at jewellery and hairpieces. That being said, accessories implemented well in a suit can really perfect the look. Cufflinks are the obvious starting point, and never go out of style – you can have these made out of different materials, including glass, metal, stone and leather, and many grooms choose to have theirs personalised with initials and dates (which is a very sweet touch!). Beyond cufflinks, there is a world of options: choosing an appropriate style watch, a flower for your lapel, making sure your shoes suit your look, and then smaller aesthetic details, such as type of button (for your shirt and blazer), the possibility of having a pocket square, and the age-old bowtie vs. tie debate. So take your time with accessorising, and choose wisely! Choosing a suit can be a long and difficult process, so make sure you hit the nail on the head with your bridal look and follow our top tips!